After uploading the pics I realized that the pig in the first one should be facing the other way to direct the eye inward. I did not realized that I had pigs facing both ways on the paper so I could have made it right in the first place. Oh well, a lesson well-learned and it makes my choice much easier. 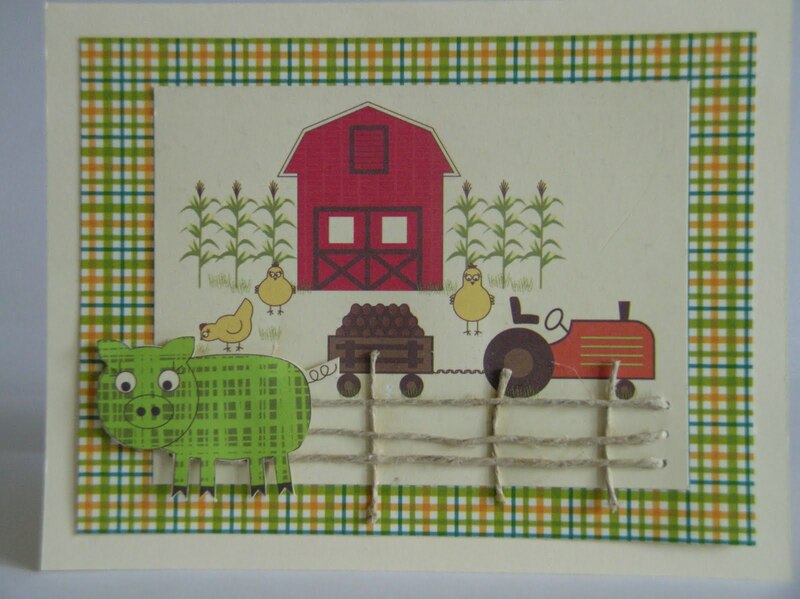 Papers by jillibean SOUP and Bella BLVD, as well as a little "scrap". Very cute Linda! Thanks for playing in our challenge at Operation Write Home! very cute cards. 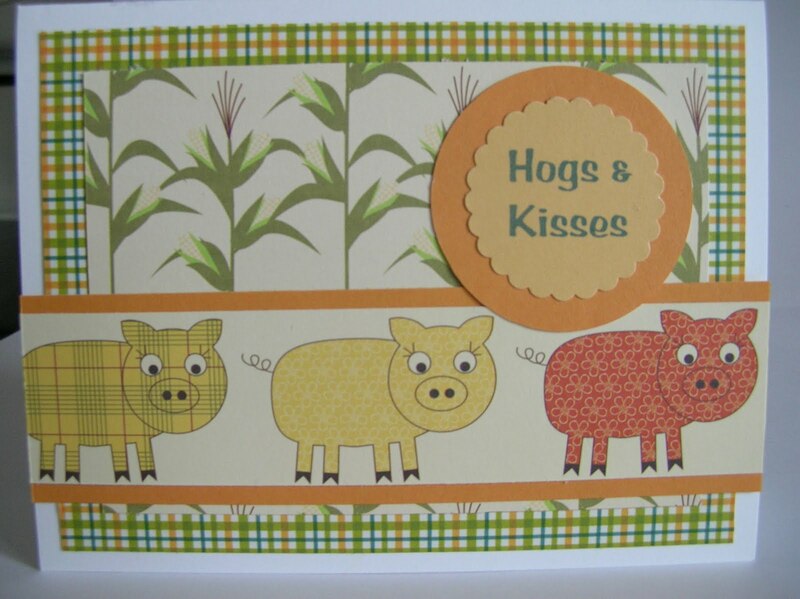 I love the paper piecing on the pigs! Love the corn paper behind them!